England Women’s head coach Simon Middleton has announced his 32-player squad for the Old Mutual Wealth Series against France, New Zealand and Canada with an away fixture against Ireland in November. The Red Roses’ squad features seven names who represented Team GB in the Rio 2016 Olympic Games, including Emily Scarratt, Katy Mclean and Danielle Waterman, and have now returned to the 15-a-side programme. 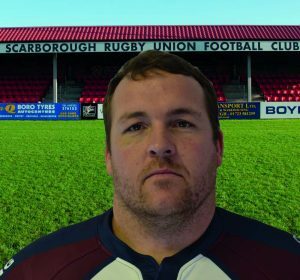 Included is Scarborough’s Zoe Aldcroft who has moved through the ranks of women’s rugby since starting as a mini-rugby player at Scarborough RUFC.